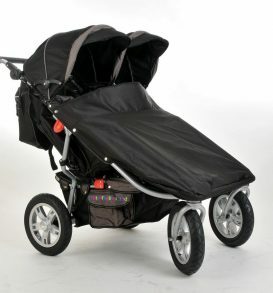 T4 Jogger, Quad and Twin, Strong, Easy-wheel. 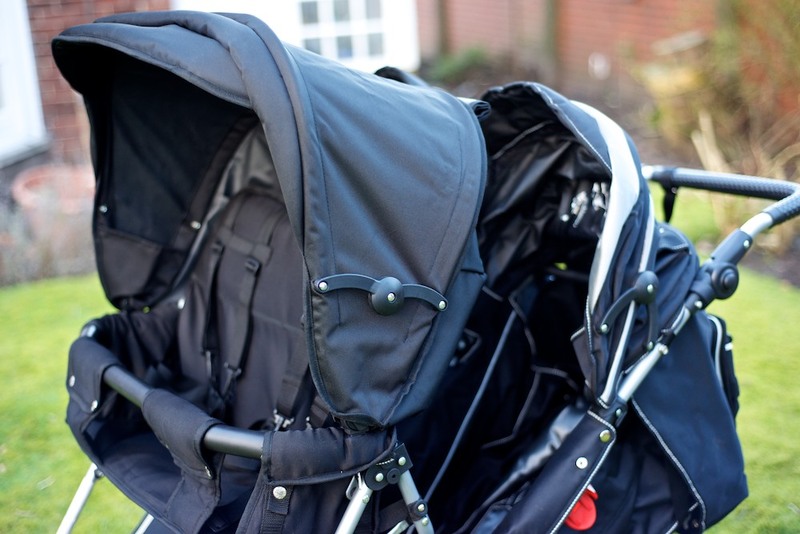 Newborn – 3years in rear seats. Twelve months to Four Years in the Toddler Seat. FITS THROUGH A STANDARD DOORWAY. Only 29.5 inches wide. Complete with Hoods, a Quad Rain Apron and a Twin Rain Apron. 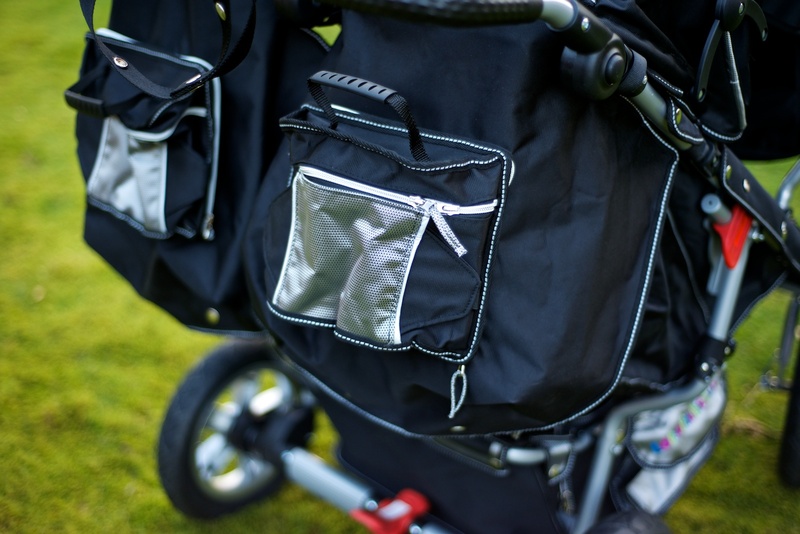 The new T4 is based on the very popular T3 Jogger. The cost of the T4 is £710. Delivery cost in the UK is £18. World wide delivery can be arranged, please email for details. 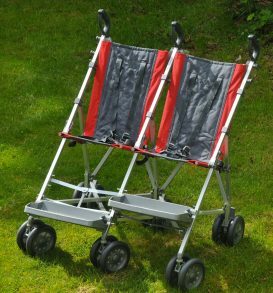 The dimensions are as for the T3 Jogger. The front seat is 28” wide. I am a single parent with an adopted 18 month old with disabilities. I work as a special needs child-minder and foster carer and the Quad has been amazing. It enables me to get out and about with all the little ones I care for. No more being stuck indoors or garden, we are out and about exploring our environment. It was very easy to put together, I managed this by myself using the video on the site. 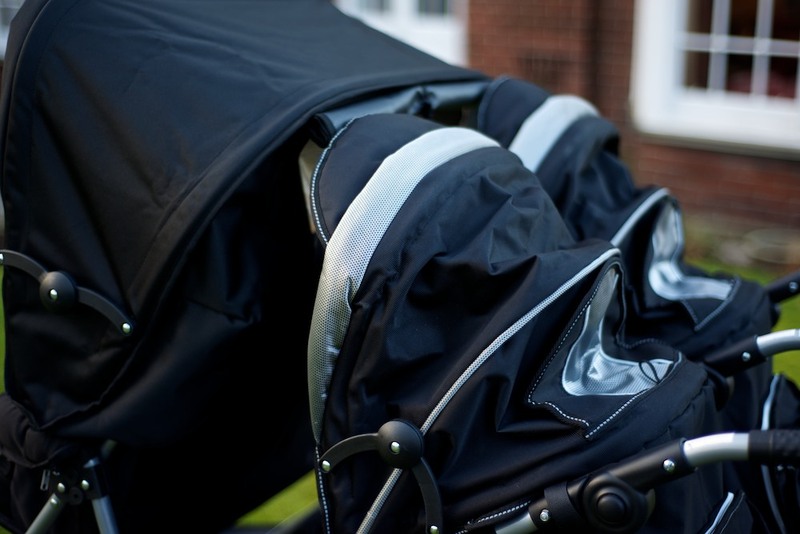 It is a flexible and manageable pushchair. The width makes it easy to move through my home where it lives next to the playroom (it take a bit more space than my single pushchair but not too much more, which was a surprise). 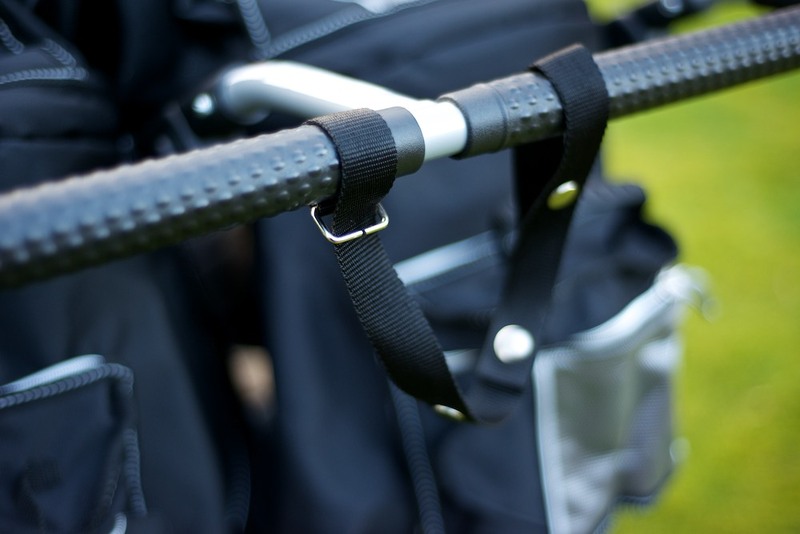 As long as the tyres are appropriately inflated it moves so easily, even when all the seats are occupied. 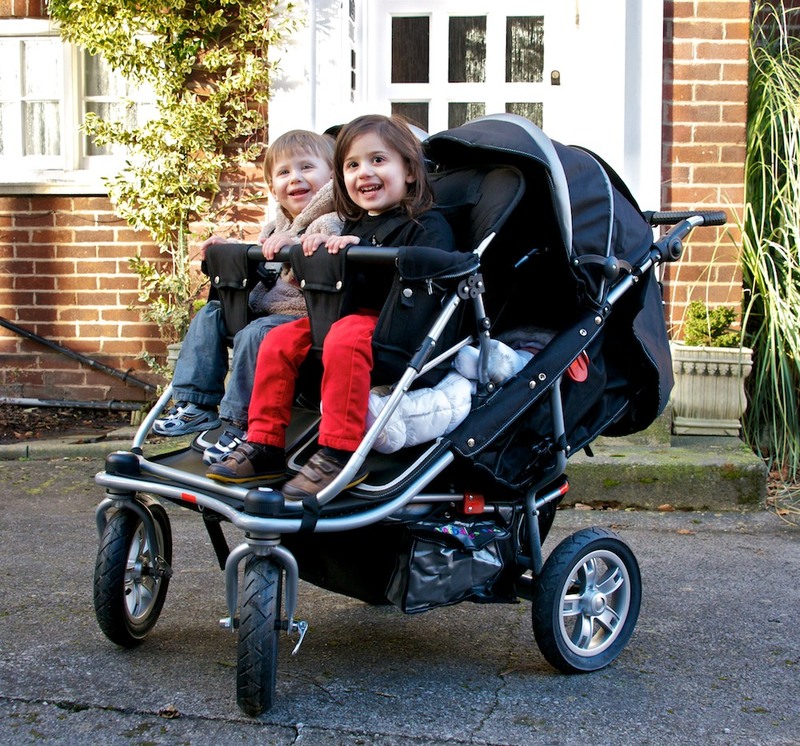 I have had the quad for 3-4 weeks and now wonder why I did not make this investment before, it has made my roles as mum, child-minder and foster carer so much more manageable for getting out and about. I first bought the T4 Quad about four years ago and its been amazing. It’s easy to push even when full! Plus it has lots of little pockets to hold supplies! After 4 years of heavy daily use I have just ordered another as mine was looking a little tired but still managed to sell my old one one for a reasonable price. 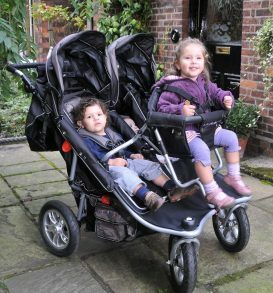 The perfect pushchair to transport multiple children over most terrains. 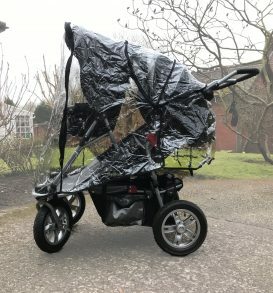 my only negative about the pushchair is the rain cover, it has tiny finger sizes vent holes right in front of where the front passengers sit, the urge for little people to stick there fingers through is too much and thus rips the cover, possibly something which could be rectified easily, as the rain covers are expensive to replace . Over-all very happy with these push chairs. Wow! I’ve just bought the T4 pushchair for my childminding business. My assistant Adam put it together for me. He originally had reservations about purchasing it as he thought it was rather expensive. However now we have had our first trip out, he has changed his mind. It is so easy to push, which is so important as a childminder. 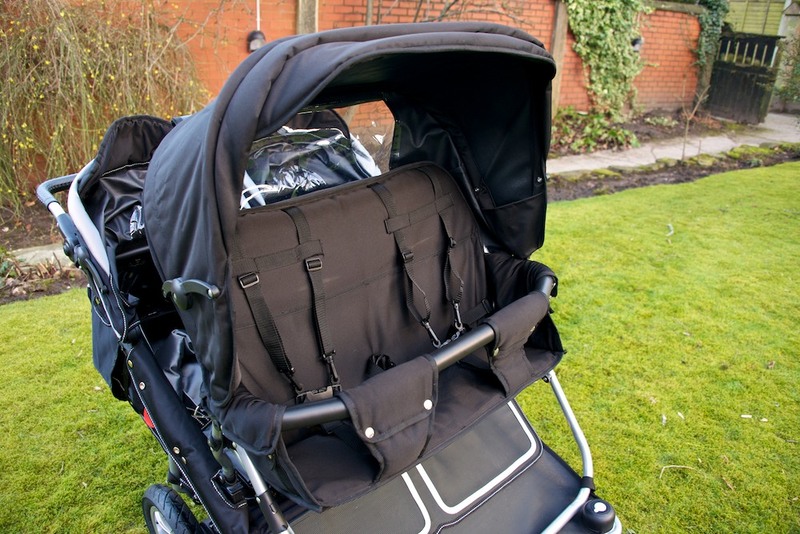 Due to my setting the pushchair needs to be stored in a small bicycle shed. Our previous double buggies had to be folded and lifted into the shed as they were too wide to fit through the door and that was a heavy job. The T4 fits through the door perfectly without collapsing it. This will make life so much easier when getting out with the children. Wish I had bought this years ago.